I was asked on Facebook if I knew the monster I had created. A good few years ago, I was at an SF convention pottering around the dealer’s room and I saw a collection of Drabbles. Of course, my curiosity was piqued and the woman behind the table saw her chance. I nodded and she went on to explain how they are used in education, competition, as writing exercises and so on and on, positively gushing about the form really. “Have you heard about them?” she asked, finally. “Well… er… I invented them,” I said. It was way back in the 1980s and someone at the Birmingham University Science Fiction & Fantasy Society mentioned the competition that Lord Byron, the poet Shelley and a few house guests had embarked on one rainy day near Lake Geneva. The blokes all gave up, but Mary Shelley finished hers: Frankenstein. According to Brian Aldiss in A Billion Year Spree, this was the start of Science Fiction. There is a variant, 50 words exactly, but this strikes me as just condensing your idea continuously. A hundred is a greater challenge, because you can under-write. I remember that revelation when trying to complete Rubbish and ending up with 98 words… and anything else I added looked like what it was: padding. We had enough at University, we thought, to do a small booklet, say 10. Ooh, how about getting someone famous to headline? We wrote to three authors, they all replied; we tried some more, they did too, and Roger Robinson of Beccon Publications suggested a collection of 100 drabbles in a hardback sold for the charity Books for the Blind. 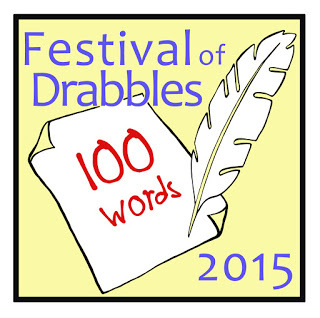 Rob Meades and I edited the first, The Drabble Project, and then another Double Century and then David J. Howe and I edited a Doctor Who themed one, Drabble Who. But others have taken the idea and done far more: just consider the collection on the dealer’s table. How do I feel about it all? Utterly chuffed, of course, and, to be completely honest, bemused. As a writer, you want your creations to have a life of their own, see the world and end up chasing you across the arctic wastes. 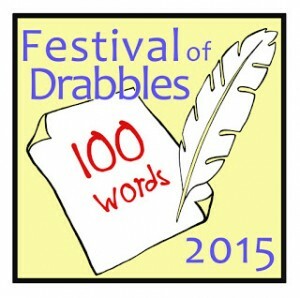 But a Festival of Drabbles!!! Wow. Some advice from the creator: don’t trust the word processors word count, count them yourselves and count your words backwards; when doing it forwards you tend to start reading it and thus lose count. Do I write drabbles now? Good grief, no; I can’t get down to 100 words!!! 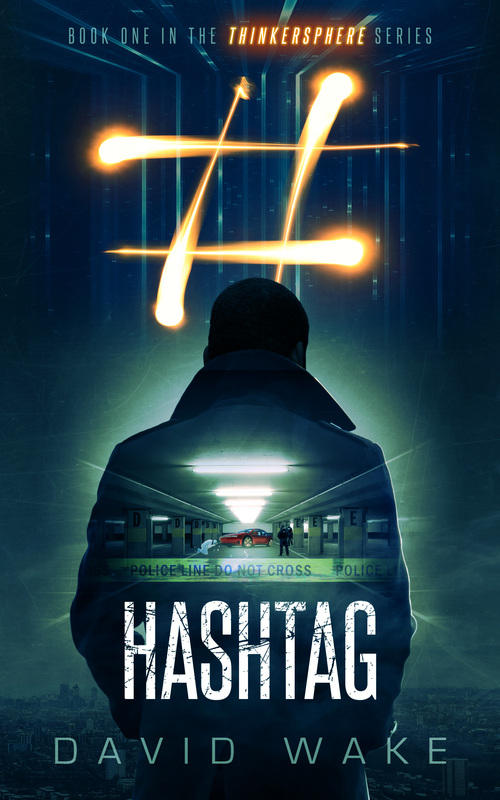 I tried a number of times to write SF short stories (5,000 words or so), but I was ham-strung by the need to be original. Later, I joined amateur theatre and started writing one-act plays (about 9,000 words) that won awards at drama festivals. I went pro, touring full length plays (about 18,000 words) and going to the Edinburgh fringe. 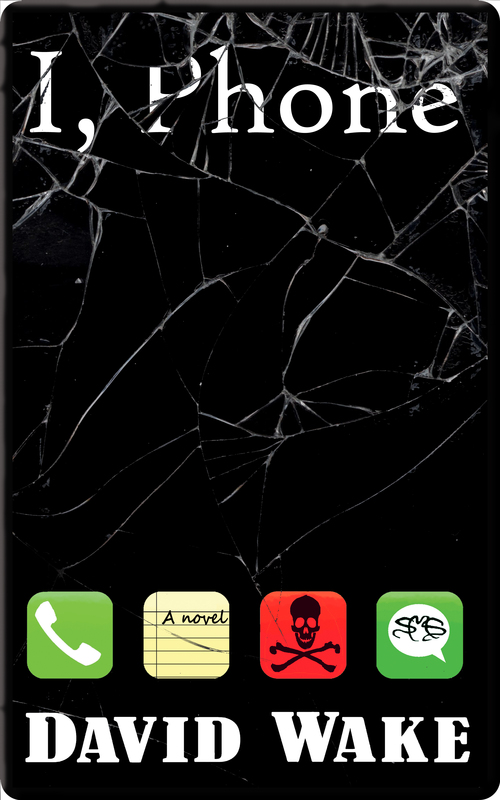 I did an MA in Creative Writing (20,000 words plus a 5,000 word essay on the process) before publishing my novel I, Phone (80,000 words). 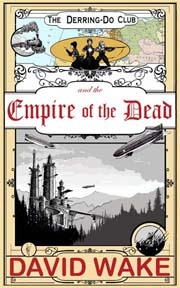 I’m currently working on the third of The Derring-Do Club steampunk novels (120,000 words). You can see the trend, can’t you? According to my spreadsheet, I’ve written 817,360 words on novels and the novella. That’s over 8,000 drabbles. But each one is written a word at a time; a single, hopefully perfect word that fits just so: and not too many, and not too few, but… exactly. David, deciding to be a professional writer, set himself the challenge of writing 1,000 words a day. Professionals write 1,000 word a day, so he would. But he couldn’t; he failed miserably. So, he set the goal at 500, but again, he failed. So he said, I’ll write 100 words a day. Just a paragraph, this one, look at it, 100 words (a drabble) exactly. Every day. And that worked. And often beat that goal, beat it well and was writing 1,000 words a day. If that hadn’t worked, he’d have set himself the challenge of ten words. Or one.